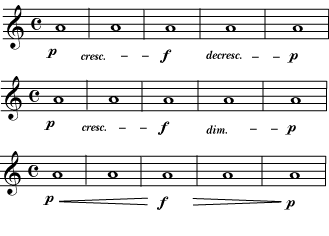 Traditionally, dynamic markings are based on Italian words, although there is nothing wrong with simply writing things like “quietly” or “louder” in the music. Forte means loud and piano means soft. The instrument commonly called the “piano” by the way, was originally called a “pianoforte” because it could play dynamics, unlike earlier popular keyboard instruments like the harpsichord. When a composer writes a forte into a part, followed by a piano, the intent is for the music to be quite loud, and then suddenly quite soft. If the composer wants the change from one dynamic level to another to be gradual, different markings are added. 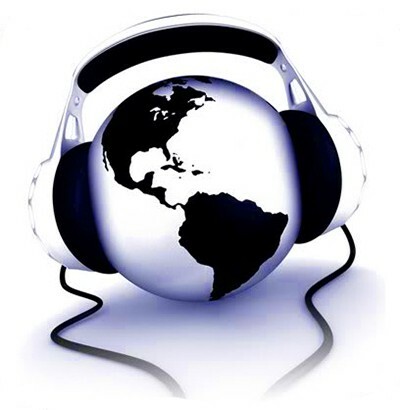 A crescendo (pronounced “cresh-EN-doe”) means “gradually get louder”; a decrescendo or diminuendo means “gradually get softer”. Here are three different ways to write the same thing: start softly (piano), gradually get louder (crescendo) until the music is loud (forte), then gradually get softer (decrescendo or diminuendo) until it is soft (piano) again. A composer may want a particular note to be louder than all the rest, or may want the very beginning of a note to be loudest. 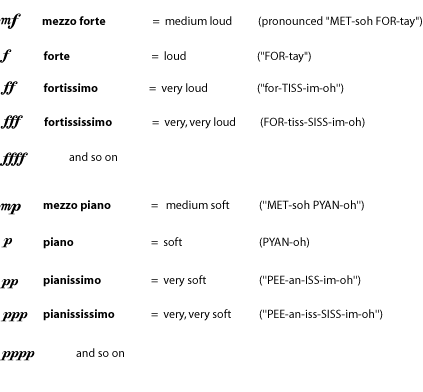 Accents are markings that are used to indicate these especially-strong-sounding notes. Exactly how each accent should be played depends on the instrument playing it, as well as on the style and period of the music. 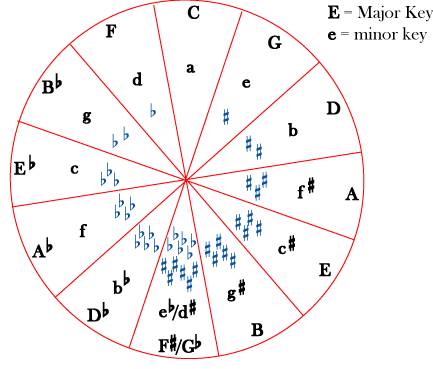 Some accents may even be played by making the note longer or more separate from the other notes, rather than louder. The exact performance of each type of accent depends on the instrument and the style and period of the music, but the sforzando and fortepiano-type accents are usually louder and longer, and more likely to be used in a long note that starts loudly and then suddenly gets much softer. Caret-type accents are more likely to be used to mark shorter notes that should be stronger than unmarked notes.